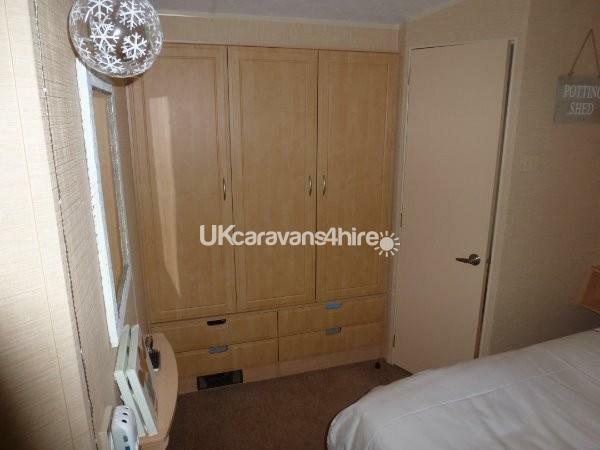 £50 damages and security deposit taken at time of booking, this will be refunded if left clean and tidy. 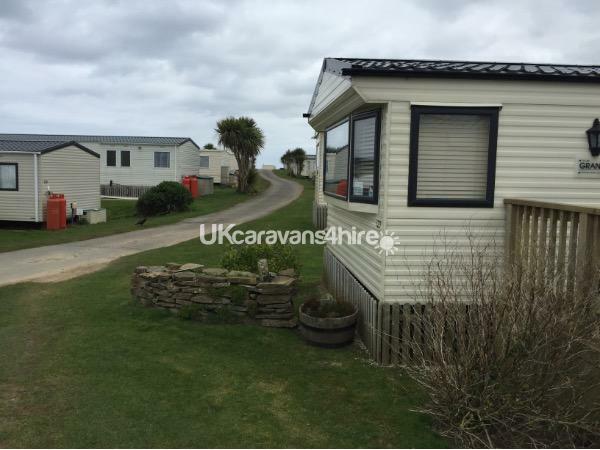 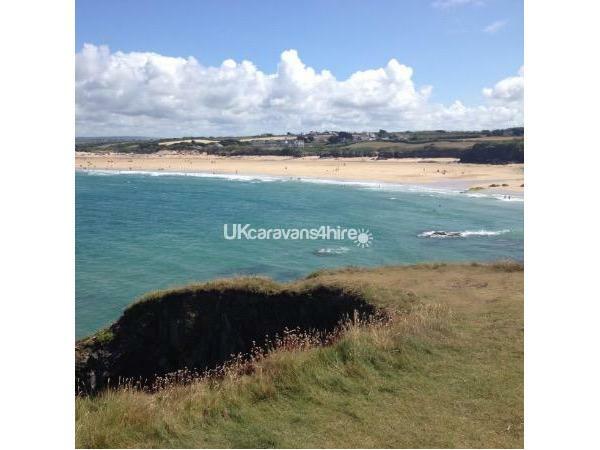 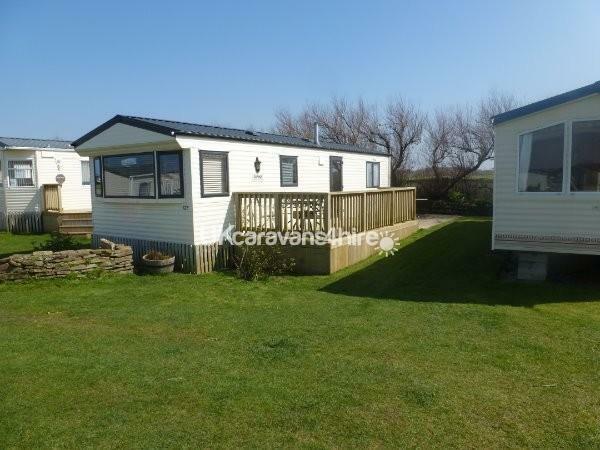 Our immaculate caravan is sited on a hedge pitch on the quiet side of Harlyn Sands holiday park, known to some as millionaires row! 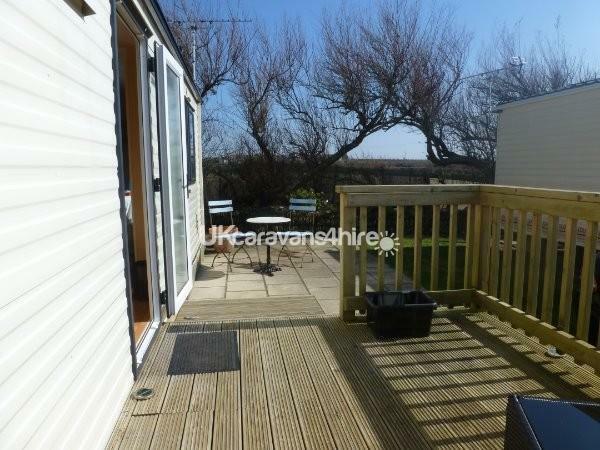 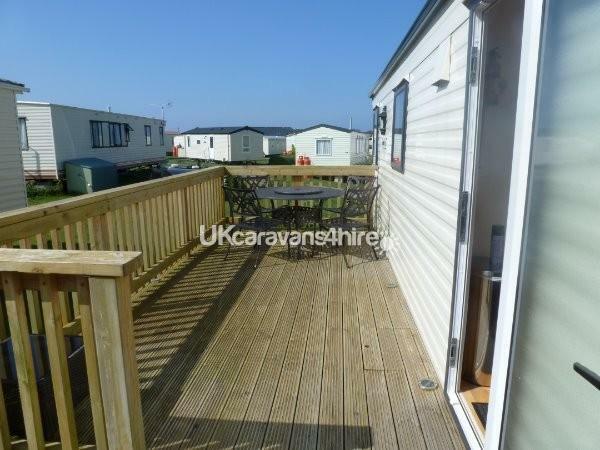 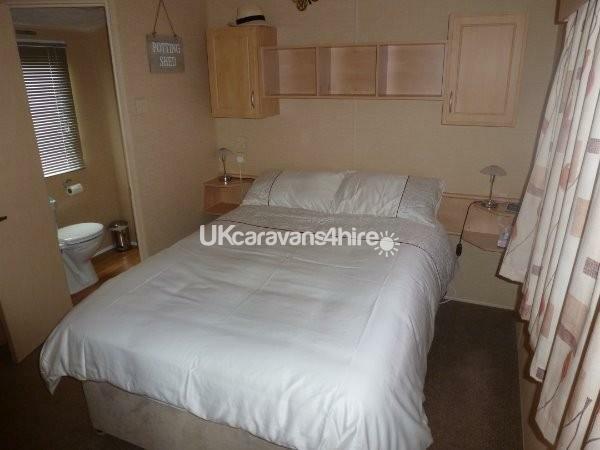 The caravan has two bedrooms, one with en suite toilet and basin, and a large second bedroom. 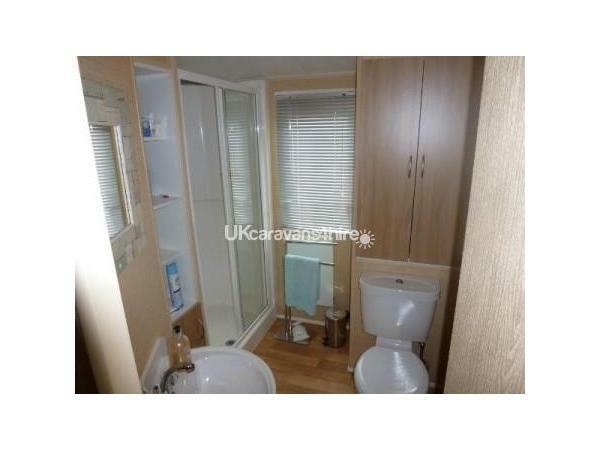 A family shower room with toilet and basin. 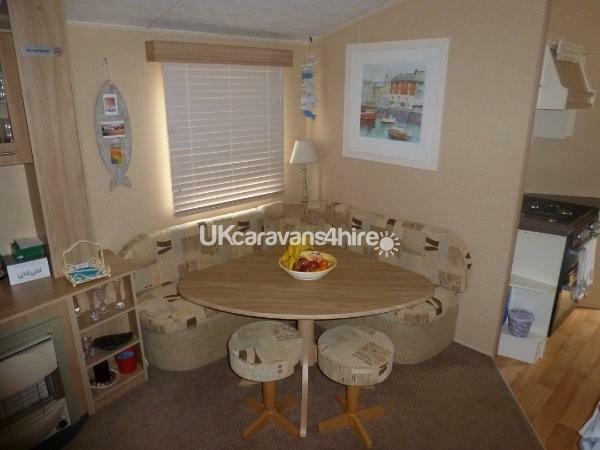 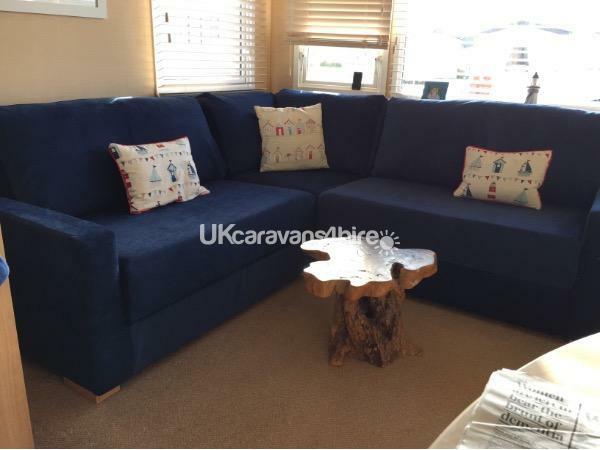 A large sitting area with freeview TV,DVD player, dining table and chairs. 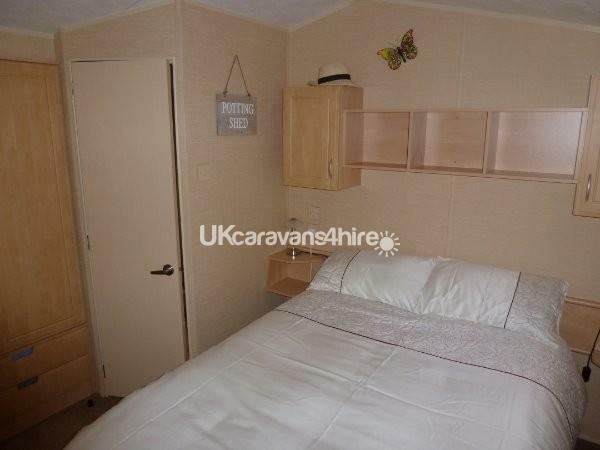 The kitchen is well equipped with a microwave, a gas oven and hob and all essentials. 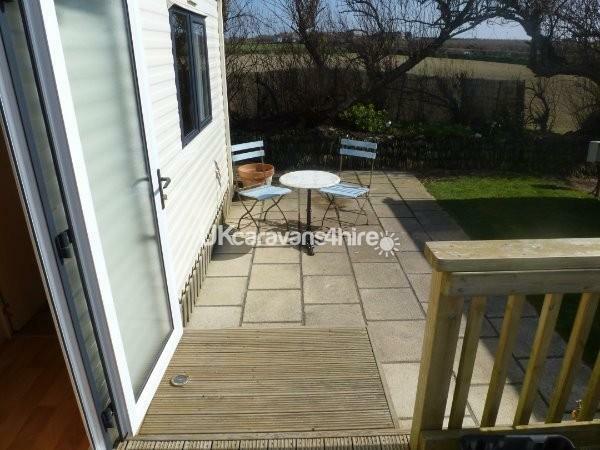 Outside there is a large patio with additional decking area,a table with 4 chairs, a cosy corner with a bistro table and two chairs.